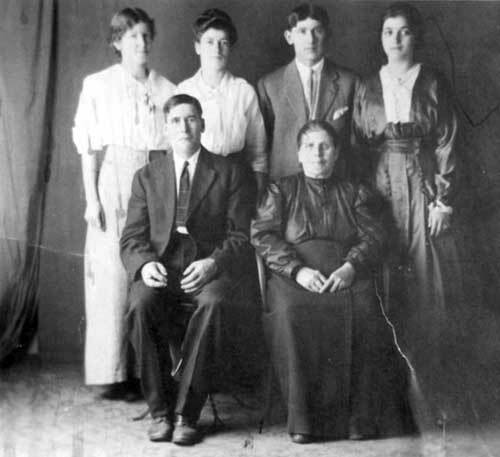 The Schiedemann family from Norka, Russia. Back row from left to right: Anna Marie b. 25 May 1891 in Denver, Colorado; Christina Grace b. 2 April 1889 in Norka, Russia; George Conrad b. 4 May 1887 in Norka, Russia; Katherine b. 3 Sep 1894 in Nebraska. Front row from left to right: Henry Scheidemann b. 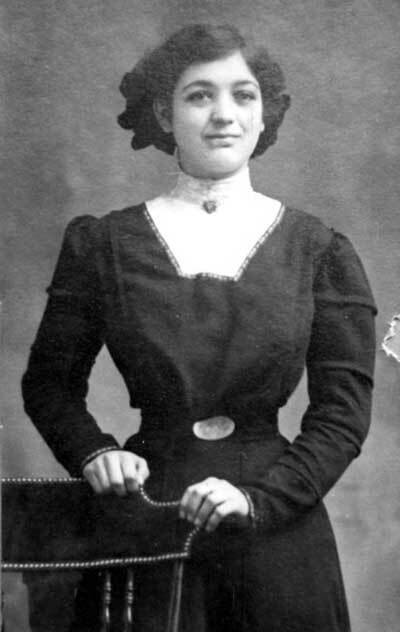 8 Jan 1861 in Norka, Russia; Maria Katherine Scheidemann (née Fahrenbruch) b. 28 Aug 1858 in Frank, Russia. 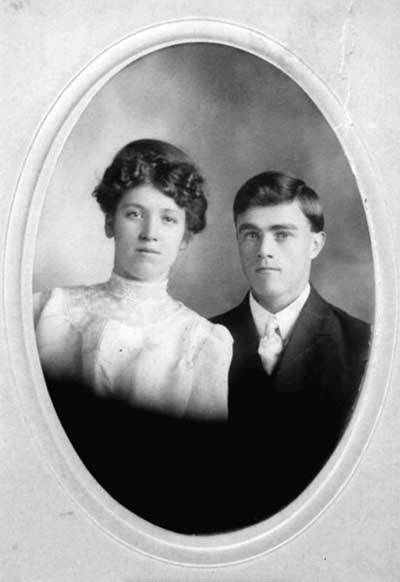 Anna Marie Scheidemann and Clarence Cluster wedding photograph - 1908. 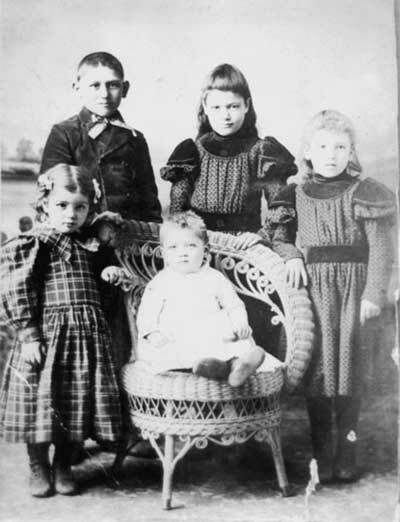 The Scheidemann children Back row from left to right: George Conrad, Christina Grace, Anna Marie Front row from left to right: Katherine, Wilhelm (Willie) b. circa 1896. 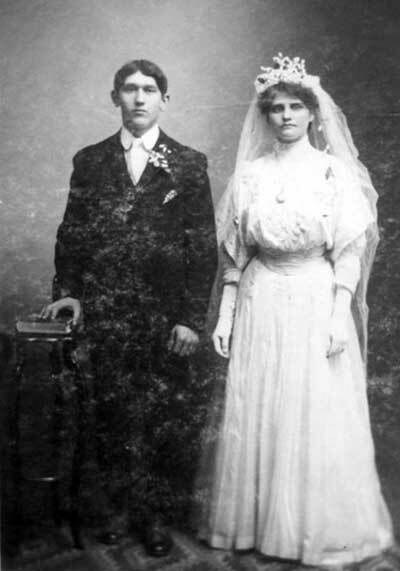 The marriage of George Conrad Scheidemann and Margaret Schlitt in 1908. 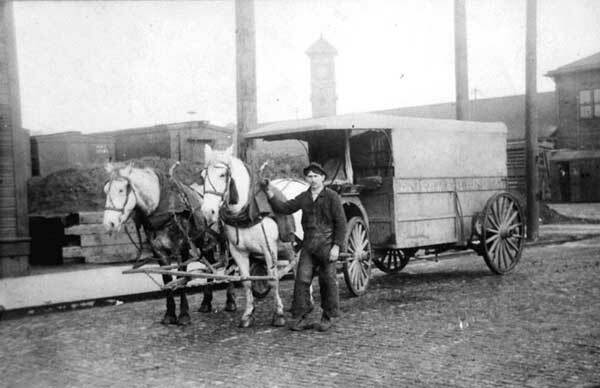 George Conrad Scheidemann at Union Station circa 1907. Information and photographs courtesy of Kevin Roner, 2902 SE Glacier Avenue Gresham, OR 97080.